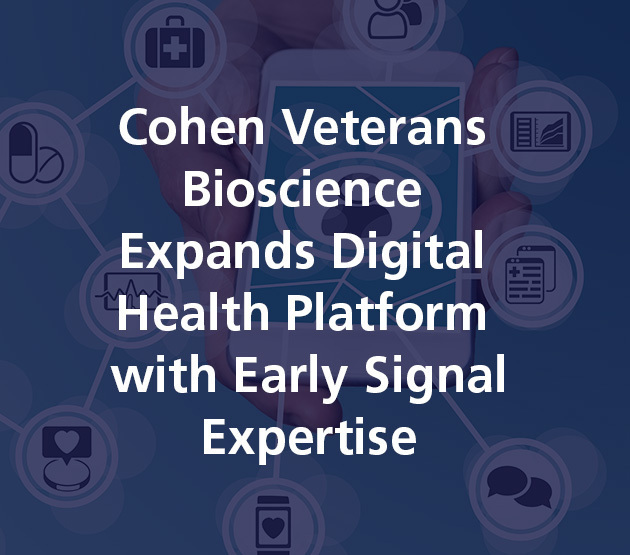 Cambridge, MA, September 6, 2018 – Expanding its capabilities in digital health and data-driven research, Cohen Veterans Bioscience (CVB) today announced the formation of Early Signal, LLC, a wholly owned, non-profit subsidiary. The new subsidiary will be formed from the leadership and expertise of the Early Signal Foundation, which is winding down its operations, and allows CVB to continue its innovative approach to translational research to advance needed diagnostics and precision medicine for brain disorders. 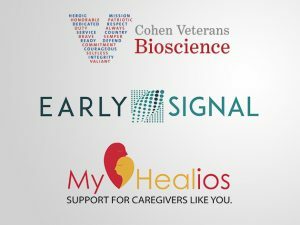 Early Signal, LLC (EaSi), provides a leading digital health platform for recording and analyzing a range of information, reported from wearables and other sensors, directly related to the well-being of patients living with brain disorders. These behavioral, cognitive, physiological and contextual data can be used to quantify brain health, improving the ability of clinicians to diagnosis a wide range of brain disorders and to treat them using precision medicine approaches. 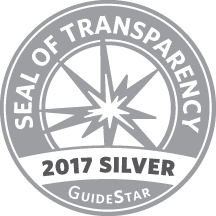 Early Signal’s unique focus on data analysis and development of disease-related algorithms can improve the care that patients receive every day by helping clinicians understand a patient’s unique presentation of disease and tailor their care accordingly. “In the clinical setting, passively and continuously captured data from wearable and home sensors can help clinicians better monitor their patient’s health and medical progress, opening the door for appropriate interventions. 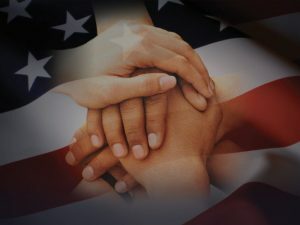 When it comes to certain rare diseases and underserved patient populations, this means that patients with previously under-studied conditions can now benefit from precision medicine that responds to their own individual needs,” said EaSi’s executive director, Daniela Brunner, PhD.